I have torn my place upside down looking for my camera charger. No luck! It seems to be really good at hiding, but I can't wait for it to appear. Looks like I'm going to have to buy a backup charger this weekend. Until then, I'm using my secondary camera. Drat! Sorry if the quality is a little off until then. 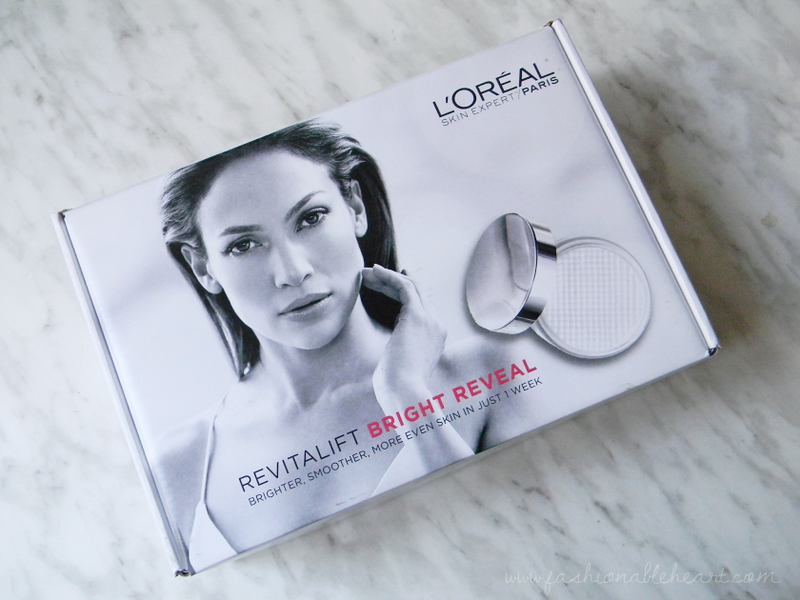 I was sent the L'Oreal Revitalift Bright Reveal skincare line to try from Influenster. I am reviewing the Daily Lotion, Dual Overnight Moisturizer, Peel Pads, and the Scrub Cleanser. Keep reading to see what I did or did not like about the products. Brightening Daily Lotion: This is the day moisturizer of the line. It's a decent formula, but it's nothing that special. It has SPF 30, which is a great addition but you can definitely smell it in the product. The packaging is excellent quality and I love the pump. It does not make much of a difference on my dry skin. I like to wear this when I am going to physio and it fits the bill. There is a slight glow upon application, but it does not last long on my skin. It's nice, but I have tried better. 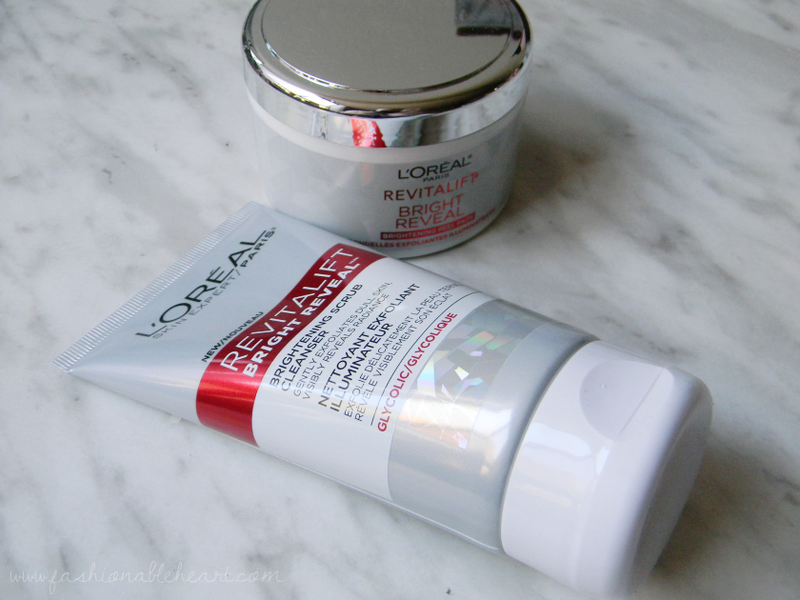 Brightening Dual Overnight Moisturizer: I love the packaging on this one. It kind of reminds me of test tubes in a science lab. You squeeze down the pump and you get a dose of a serum and lotion. They work together to even skin tone and decrease the look of wrinkles. What I like is how cooling it feels on my skin. The Glycolic Acid helps to remove brighten and remove dead skin. Now with this, I do feel a difference. My skin does not feel as dry in the morning and my makeup goes on a little smoother. Brightness? I'm not too sure, but it is very hydrating. Brightening Peel Pads: I love face wipes and face pads. Most of the pads I use foam up and you have to rinse off your face after use. You don't rinse after these. This is a pad saturated with Glycolic Acid for a straight-up method to slough away your dead skin. You can use these nightly and in a circular motion, avoiding the eyes. I choose not to use them nightly, because my skin is too sensitive for it. I like them after a day of wearing heavy makeup, because the little squares on the pads get to work and can catch anything your cleanser missed. My skin does feel clean and smooth, but I get the same benefits from other facial wipes and pads, some of which are cheaper. Brightening Scrub Cleanser: I love the holographic label. That has nothing to do with the product, but it's pretty sitting on my bathroom sink. This is meant to be used day and night, but again I think that is too much for my sensitive skin. I optioned to use this at night while removing my makeup. The micro-pearls are a little much for me to use too often. Does my skin feel clean afterward? It does and a little softer. I like it, but I don't love it. It works well with the rest of this skincare line, but I don't think it is something that I might necessarily buy on its own. 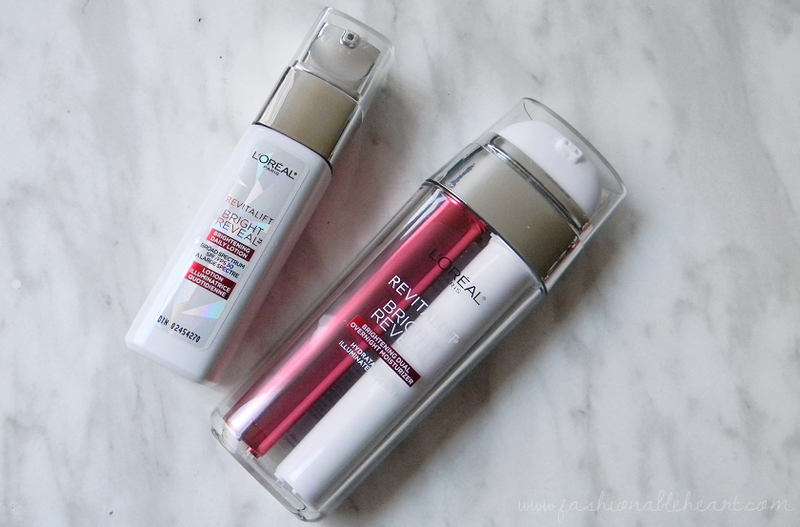 For me, I think the Peel Pads and Dual Overnight Moisturizer are the winners in this line. 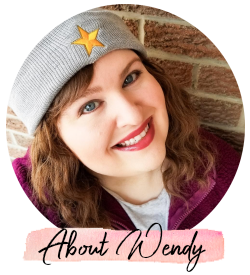 If you have tried any of these products, let me know what you think of them! 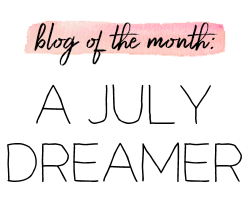 **These products were sent to be for testing and reviewing purposes, courtesy of L'Oreal and Influenster. All thoughts and pictures are my own and there are no affiliate links.